​Manchester City wonderkid Phil Foden is reportedly set to commit his long-term future to the Premier League champions by signing a new contract. 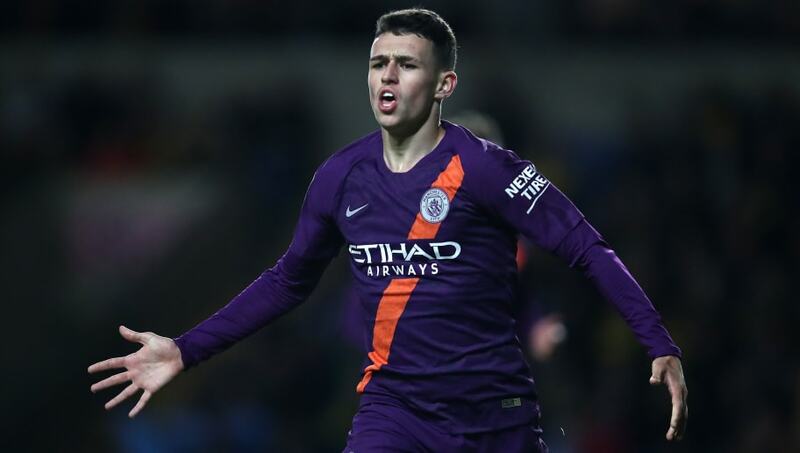 Foden is widely believed to be one of England's most talented young players, and he has been a regular feature in Pep Guardiola's side this season, making ten appearances in all competitions. City have recently been renewing the contracts of several of their stars, including Raheem Sterling and Sergio Aguero, and it appears as though Foden is set to follow suit. His current deal expires in the summer of 2020, and he has been linked with a move to the likes of Paris Saint-German, ​Juventus and ​Borussia Dortmund, with Jadon Sancho's success since leaving ​City used as an example of why Foden may consider leaving the club. However, Guardiola has made no secret of his desire for Foden to remain at the club, and negotiations between Foden's representatives and City are said to have been incredibly swift and straightforward. The Daily Telegraph state that City officials view Foden as a long-term successor to ​David Silva who, at 32 years old, is undoubtedly entering the latter stages of his career. Silva has been in such impressive form for City since Guardiola's arrival that many fans have claimed Foden must leave the club in search of regular game time. However, Guardiola has made an effort to include Foden in the first team, and has previously ​described the midfielder as "special". Many of his ​Premier League appearances have been as a late substitute, but Foden has featured heavily for City in cup competitions and has even made an appearance in the Champions League this season. The report also claims that Leroy Sane is also close to signing a new contract with the club, whilst ​Vincent Kompany, Ilkay Gundogan and ​Fabian Delph could follow soon after.